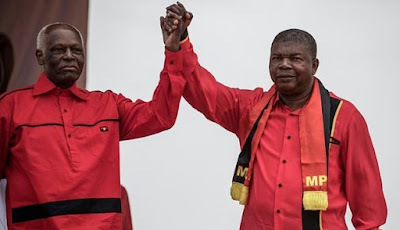 Jose Eduardo dos Santos's 38-year reign over Angola finally came to an end today when his hand-picked successor Joao Lourenco was inaugurated as president at a ceremony in Luanda. Lourenco read an oath in which he vowed "on my honour to devote myself" to the role of president, as he took power after the ruling MPLA party won last month's election. Dos Santos, who was at the ceremony but is reportedly in poor health, surprised many by announcing his retirement earlier this year, saying he would not be a candidate in the election.